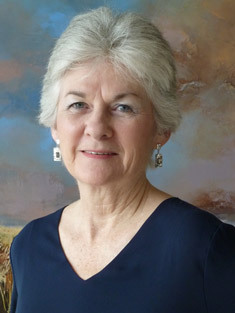 Kathryn Amisson has spent much of her career portraying the beauty of our Canadian west coast. Originally working in pastel depicting the stunning beaches and rolling surf of our Pacific coast, now works in acrylic on canvas. Expanding her boundaries she has since also taken aim at the prairie landscape. Both her love of the west coast and her prairie roots have instilled in her a passion for wide open spaces. “It is the effects of light that continue to fuel my creativity. I delight in the ever-changing palette before me. The unceasing diversity of nature excites me, inspires me and will forever be my interpretive challenge." Kathryn devotes her full time to the accomplishment of her much loved profession. She spent 21 years participating in the annual 'Celebration of Art' held at Painter's Lodge working alongside the likes of Ted Harrison, Pat Martin Bates, Robert Genn and Alan Wylie. She has been featured as a resident artist at the Union Club through Victoria's Artishow program and been twice chosen as the Honourary Chair for the highly successful CNIB fundraising event held for over 20 years in Victoria. Her work has been purchased by individuals and collectors worldwide and her efforts in aiding and contributing to her chosen group of charities is well acknowledged and recognized. Kathryn and her husband, Graeme Roberts, reside in Brentwood Bay, close to Victoria, British Columbia, Canada.